. 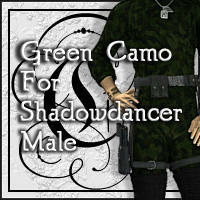 :: Shadowdancer Male Sets ::. This page is for all the male Shadowdancer texture sets, EXCEPT for the Winter MARPAT set, which can be found over on the Winter MARPAT page with the other textures in that set.